Review the Code of Ethics. The Grievance Committee will review the form. 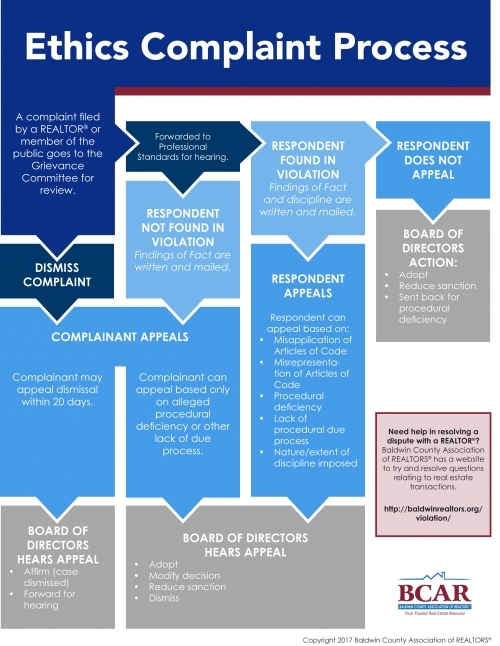 View the infographic below for the Grievance Committee review process. Click here to view a copy of the National Association of REALTORS® (NAR) Code of Ethics and Arbitration document which governs the policies of the Baldwin County Association of REALTORS® with respect to all hearings.